Elected officials are calling for a local middle school to be redistricted. 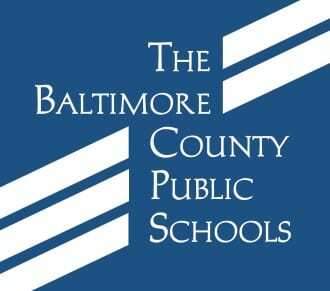 On Monday, the Maryland General Assembly adjourned without passing the Build to Learn Act, which would have authorized an additional $400 million or more for school projects. As a result, several planned school projects have been delayed, including the new Nottingham-area middle school and renovations to Pine Grove Middle School. 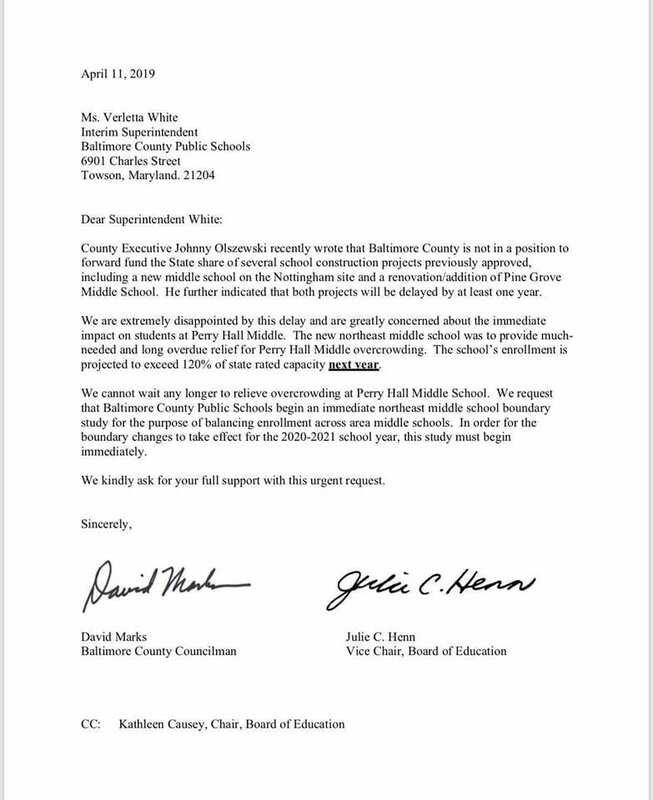 On Thursday, Marks and BCPS Board Member Julie Henn took the unusual step of calling for the school board to redistrict Perry Hall Middle School. 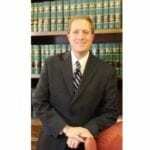 A copy of the letter from Councilman Marks and Board Member Henn is below.